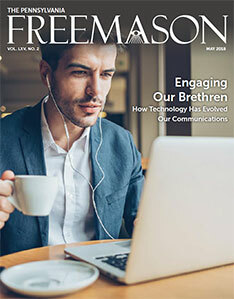 Every issue of The Pennsylvania Freemason Magazine is now available online as a searchable PDF! Use the navigation below to view the catalog of issues by decade. THE PENNSYLVANIA FREEMASON On-line Edition, published on the Internet by authority of the R.W. Grand Master of the Grand Lodge of Free and Accepted Masons of Pennsylvania. From the text edition of THE PENNSYLVANIA FREEMASON, Publication No. 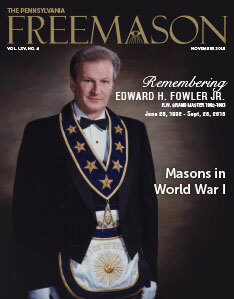 USPS 426-140, published by the Masonic Villages, Elizabethtown, Pennsylvania, as a means of soliciting the physical and financial support of the members of the Fraternity, their families and the public in general. 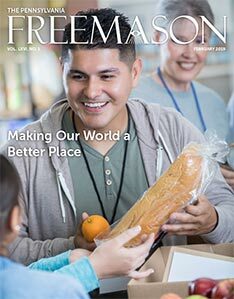 Articles and photographs to be considered for publication should be sent with local Masonic authority to the Production Coordinator, Tina L. Lutter, Masonic Villages, One Masonic Drive, Elizabethtown, PA 17022. Except by special arrangement, all articles, photographs and artwork become the property of the Grand Lodge.